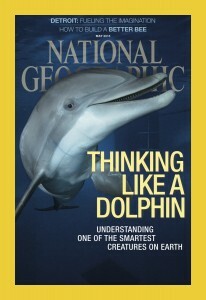 Below are newspaper articles that the Wild Dolphin Project and Dr. Denise Herzing were featured. "The Wild Dolphin Project to host Wild Ocean Science"
"A 'Give Back Thursday' for the dolphins!" "Lend A Hand to Research By Participating in the Wild Dolphin Project"
"Juno Beach researcher seeks scientific breakthrough to let dolphins communicate with humans"
"How far will dolphins go to relate to humans?" Extraordinary Women, Extreme Discoveries! "Tracking Three Generations of Wild Dolphins in the Bahamas: 26 Years in the Field"
Dr. Denise L. Herzing, Research Director and Founder of The Wild Dolphin Project, has been recognized by the John Simon Guggenheim Foundation as a 2008 Fellow. This prestigious award recognizes Herzing's dedication as a scientist and was "appointed on the basis of stellar achievement and exceptional promise for continued accomplishment," as stated in Guggenheim Foundation's press release on April 3, 2008. For more information, visit their website here.